Robb and Phil team up to demonstrate all of "Darkness Within". This is a melodic song that builds into a full, heavy solo. This song comes from the 2011 album entitled Unto the Locust. Robb Flynn and Phil Demmel join forces in teaching the Machine Head song "Aesthetics of Hate." The duo breaks down both guitar parts in a complete lesson also dubbed "The Thrashterpiece!" Influenced by Iron Maiden, Phil gave Robb some licks, and he built a very special tune called "Be Still and Know" that has some personal ties to the artists as they were going through rough times. 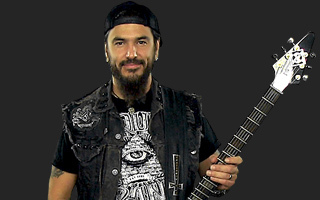 About Robb Flynn View Full Biography Monster riffs, dueling leads, harmonies... Squeals... It's all here. Learn Machine Head songs from the band's own Robb Flynn and Phil Demmel! Get first hand instruction from the band members themselves. Monster riffs, dueling leads, harmonies... Squeals... It's all here. Learn Machine Head songs from the band's own Robb Flynn and Phil Demmel! Get first hand instruction from the band members themselves. Each song is broken into sections based on each guitar part. Learn them separately, then see how they are put together. 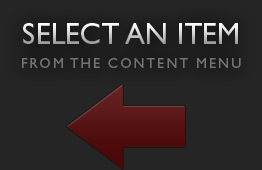 Practice the parts to a backing track created from the master recordings!